What are the benefits of the Pillar Procedure? Once the snoring problem has been resolved, couples can share a bed again, enjoy a more restful sleep and live a healthier lifestyle. How is the Pillar Procedure different from other palatal surgical procedures? Minimally invasive. The Pillar Procedure is done in one brief office visit. Other palatal procedures may require multiple treatments over a series of visits, or an operating room procedure. Minimal discomfort. The Pillar Procedure does not involve the permanent surgical removal of tissue, nor does it require the use of laser or radiofrequency energy or chemical agents to destroy tissue. The Pillar Procedure causes minimal discomfort and most patients resume normal diet and activities the same day. Results. Some patients report a noticeable improvement within weeks, while others may take up to three months to realize the full benefit of the Pillar Procedure. The Pillar Procedure is designed to have a lasting effect. 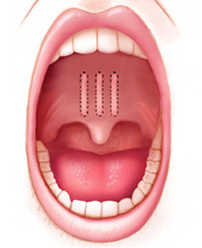 During the Pillar Procedure, three tiny polyester implants are placed into the soft palate. Over time, the implants, together with the body’s natural fibrotic response, add structural support to and stiffen the soft palate. The structural support and stiffening reduce the tissue vibration that can cause snoring and the palatal tissue collapse that can obstruct the upper airway and cause obstructive sleep apnea (OSA). Is the Pillar Procedure painful? Because tissue is not removed, discomfort is minimal. Some patients use an over-the-counter pain reliever after the procedure and most are able to resume normal activities and diet the same day. How long does the Pillar Procedure take? The Pillar Procedure can be performed in approximately 20 minutes during one short visit to our office. How do I know if the Pillar Procedure will work for me? If your soft palate is contributing to your snoring or obstructive sleep apnea (OSA), the Pillar Procedure may be a good option for you. Drs. Medford and Luft will examine your upper airway to determine if you are a good candidate for the Pillar Procedure. How many patients have been treated with the Pillar Procedure? More than 30,000 people worldwide. How are the implants placed in the soft palate? Each patient receives three Pillar implants. Each Pillar implant is preloaded into a specially designed, single use, sterile delivery tool. Drs. Medford and Luft uses three separate delivery tools to place three implants into the muscle of the soft palate. The Pillar Procedure does not require the removal of any soft palate tissue. How big is the implant? What does it look like? 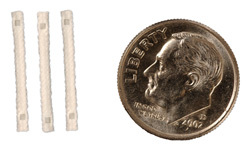 Each tiny, highly engineered and precisely woven Pillar implant is approximately 18 mm (0.7 inches) in length and has an outer diameter of approximately 2 mm (0.08 inches). The implants are woven from a polyester material that has been used for more than 50 years in implantable medical products. Will I notice the implants in my palate? You should not be able to see or feel the implants in your soft palate. A small percentage of patients report feeling a minor foreign body sensation after the procedure. This sensation is temporary and should subside and go away within a few days after the procedure. Will there be any change in my speech or will I have any difficulty swallowing? There have been no reports of patients experiencing changes in speech or difficulty swallowing following the Pillar Procedure. What kind of complications have you seen? Since the Pillar Procedure does not involve removing or destroying tissue, the risk of complication is extremely low. There have been no reported major adverse events as a result of the Pillar Procedure. With more than 30,000 Pillar Procedures performed worldwide, the reported complication rate is less than 1%, and the most frequently reported minor complication is a partial extrusion of an implant. A partial extrusion occurs when the implant is placed too shallow or too deep, and the tip of the implant protrudes through the surface of the soft palate tissue. If a partial extrusion occurs, Drs. Medford and Luft can remove the implant. Will my health insurance or Medicare cover the Pillar Procedure? Some insurers cover the Pillar procedure as a treatment for obstructive sleep apnea (OSA). Contact your health insurance provider to see what your coverage may be. Many people suffer from chronic snoring but don’t have sleep apnea. The treatment of snoring is considered to be cosmetic, and typically is not covered by health insurance or Medicare. How many people are affected by chronic snoring and obstructive sleep apnea (OSA)? What are the risks if I choose not to have my obstructive sleep apnea (OSA) treated? What do I do next? I want to have the Pillar Procedure? Congratulations, you’ve decided to take steps toward a healthier lifestyle for you and your bed partner! Just schedule an appointment with our office for an initial consultation. 1. 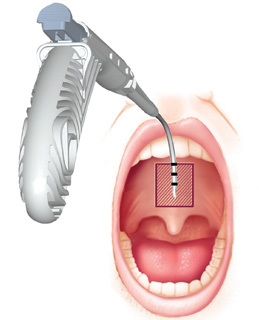 Maurer, JT, Verse T, Stuck BA, Hrmann K, Hein G. Palatal Implants for Primary Snoring: Short-Term Results of a New Minimally Invasive Surgical Technique Otolaryngology-HNS 2005; 132: 125-31. 2. Maurer JT, Verse T, Stuck BA, Hrmann K, Hein G. Long-Term Results of the Pillar Palatal Implant System for Primary Snoring. Otolaryngology-HNS 2005 Oct; 133(4):573-8. 3. Goessler UR, Hein G. Verste T, Stuck BA, Hrmann K, Maurer JT. Soft palate implants as a minimally invasive treatment for mild to moderate obstructive sleep apnea. Acta Otolaryngol. 2007 May; 127(5):527-31. 5. American Academy of Otolaryngology. 6. Young T, Skatrud J, Peppard PE. Risk Factors for Obstructive Sleep Apnea in Adults. JAMA. 2004; 2004 Apr 28; 291(16): 2013-6. 7. Teran-Santos J, Jimenez-Gomez A, Cordero-Guevara J. The association between sleep apnea and the risk of traffic accidents. New Engl J Med. 1999 Mar 18; 340(11): 847-51. 8. Silverberg DS, Iaina A, Oksenberg A. Treating Obstructive Sleep Apnea Improves Essential Hypertension and Quality of Life. Am Fam Physician. 2002 Jan 15;65(2):229-36. 9. Young T, Skatrud J, Peppard PE. Risk Factors for Obstructive Sleep Apnea in Adults. JAMA. 2004; 2004 Apr 28; 291(16): 2013-6.